We all need a good rest and beauty rest to look fresh and healthy, especially after long 8 hours of hard work. Living a big polluted city also doesn't help our tender facial skin to look better. 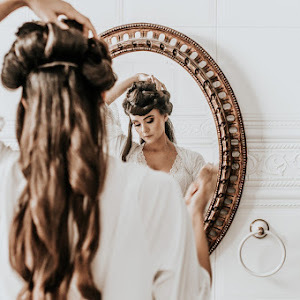 But, unfortunately, modern women don`t have that much time to stop and take care just about their beauty - visit spa, professional cosmetologist or simply have a beauty sleep! But I found a very simple solution, that will change your life forever and I`m so excited to share my review with you! 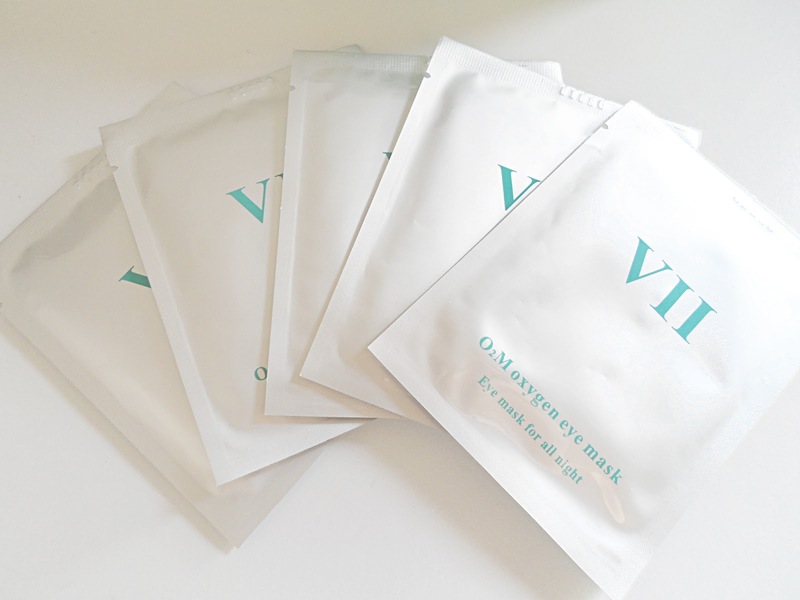 VIICODE Oxygen Eye Mask* - is a new gel mask, rich with oxygen and deep sea biological extracts, that will help even the most tired eyes. The mask is safe for all skin types and can be used for people with sensitive skin or allergies. It is alcohol free and has natural ingredients, like ecological Plant Oxygen Extracts (EOPEs), which helps to repair damaged eye skin and it also contains a healthy dose of Vitamin E.
All you need to do is to follow your usual night time skin care routine - clean your face, apply some moisturizer, avoiding under eye area and for the last step apply two VIICODE Oxygen eye pads under your eyes. Yes, you heard correct - the magic mask will be working, while you will be resting. 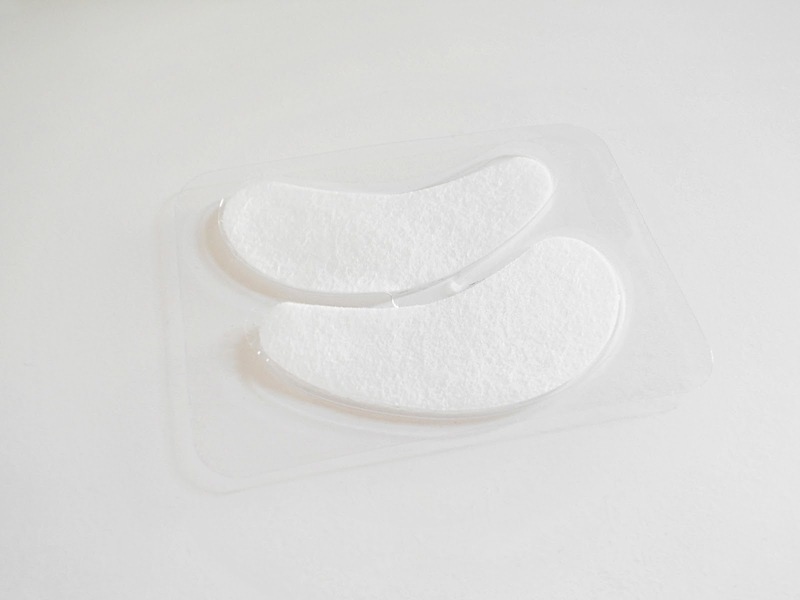 The VIICODE eye mask was developed to de-puff and hydrate the lower eye zone. For better effect, put the mask in the fridge for a few minutes, you will get a pleasant cool feeling and the ingredients will start to work faster. Sounds like the spa procedure at home ;) I left the mask for the whole night and even in the morning it was still a bit moist and fresh. 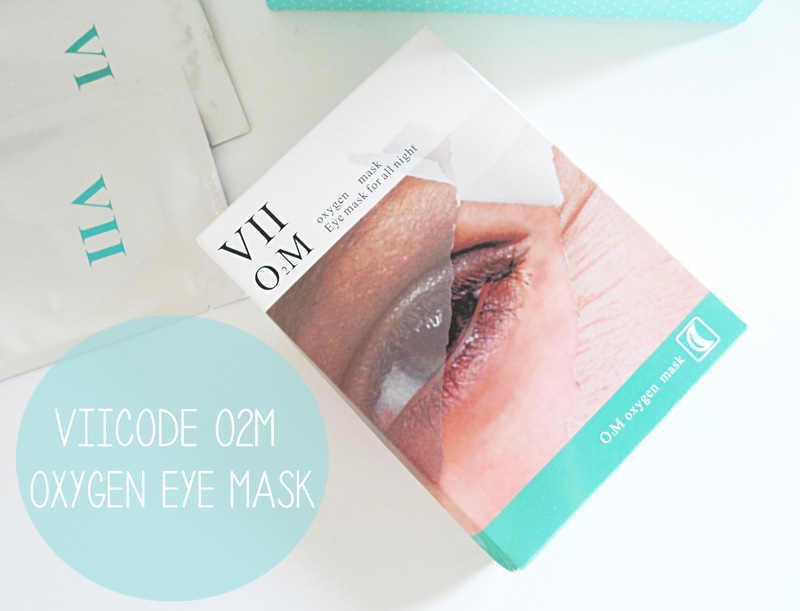 Overall, I can say that I absolutely loved VIICODE Oxygen Eye Mask. 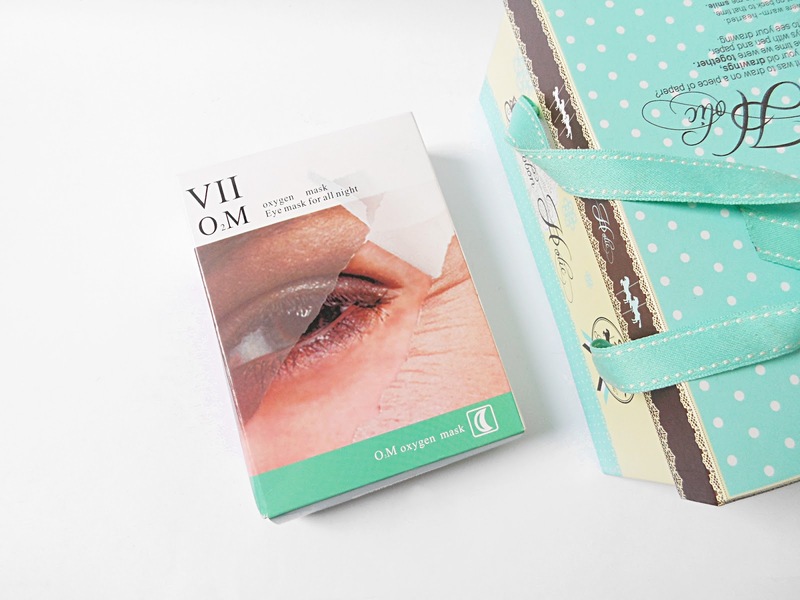 After the first usage the skin under my eyes looked so much brighter and healthier. I haven`t experienced allergy, dryness or any other unpleasant sensations, while using this mask, it was very comfortable to sleep. 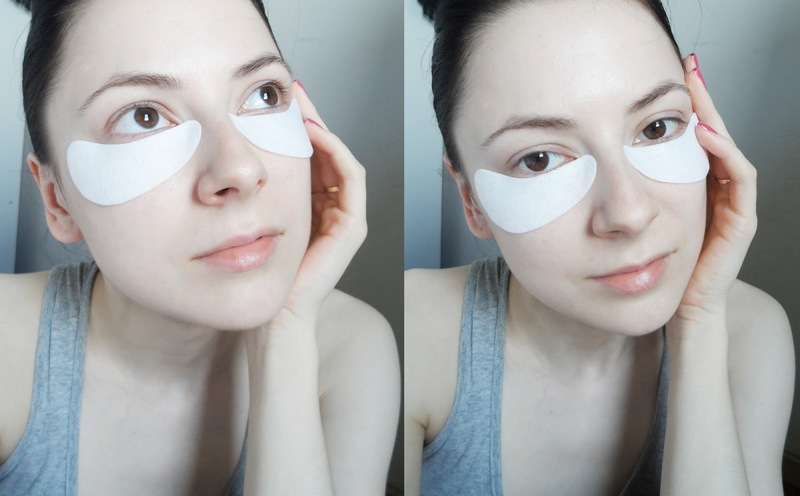 To receive the maximum results it is recommended to use these eye pads at least few times per week. You can buy VIICODE Oxygen Eye Mask online on Amazon. 2. Let`s start to apply red eye shadow on the inner half of eye lid. 3. The next step - apply black matte eye shadow on the outer corner of the eye lid, creating a dramatic black wing. 4. Reapply same black and red matte eye shadow in the opposite turn on the lower lash line. 5. Line your eyes with black liquid eyeliner, draw a little triangle on the center of the lower lash line. 6. Finish the Harley Quinn makeup look with a pair of false lashes. I also added little dots, but this step is absolutely optional. 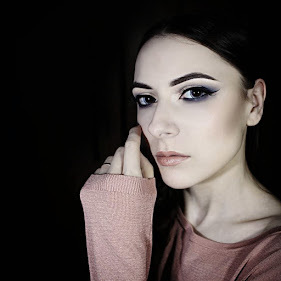 That`s all girls, it was very fun and easy to create this makeup. 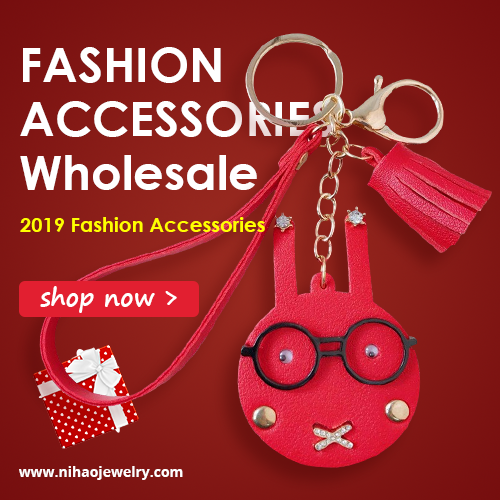 You can use any colors you want, that will fit your cosplay costume or outfit. Thank you so much for reading my post, have an awesome Halloween party! Hi girls, does anyone loves eye shadow palettes as much as me? It is so comfortable, when all the shades and textures you want to use for your eye makeup at the moment are in one place! 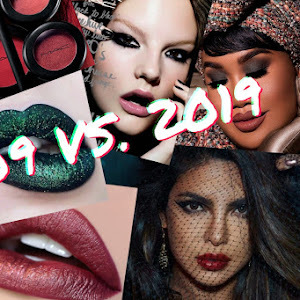 Recently I had an awesome opportunity to try out 15 Colors Matt Eye Shadow Palette* by Born Pretty Store, so today I want to share with you my opinion about this product. Overall, I loved this palette, it has every shades you need for the everyday, festive and evening makeups. It is beginner friendly product, because it is very easy to work with the shades and the texture. All the colors are easy to blend, they are absolutely matte, without any shimmer to them. The only thing I wish were better - the pigmentation. You need a good eye shadow primer, to make the colors stand out brighter and last longer. But for the price, it is awesome choice. 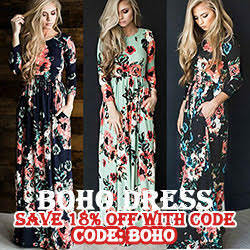 Don`t forget to use a special code LIZH10, to receive a 10 % discount. Hope you liked my review girls, I`ll talk to you later! Hi my angels! I`m such a big fan of all natural skin care products, but my all time favorite is a clay mask. I just love the texture and calming effect natural clay has on my skin. And today I`m glad to introduce you to the Maple Holistics Natural Ancient Clay Mask*, which were made of three different clays, each with it`s own therapeutic benefits for any skin type. Before the application it is better to remove the makeup and clean your face. Mix 1 scoop of clay with 2 scoops of clean water, the consistency should be smooth and a little bit `soupy`. Apply the generous coat of the mask on the face and neck, avoiding sensitive areas. In 10 - 15 minutes, after the clay will dry out, you can rinse your skin with warm water. The summer have passed, and the sun doesn't shine so bright anymore. It is getting harder and harder to keep our sun-kissed summer glow and the skin is getting dull :( Tanning was always a big problem for me. When I was a teenager I spent all my summer holidays at granny`s house, which was situated on a countryside, right next to the lake. My skin always looked bronze after few hours on the beach. But when I got older my skin stopped to tan, now it burn on the sun. For all of you, who have the same problems as me, or for those who wants to make their summer glow to last longer I introduce you Cocoa Brown 1 Hour Tan Mousse* by Marissa Carter. 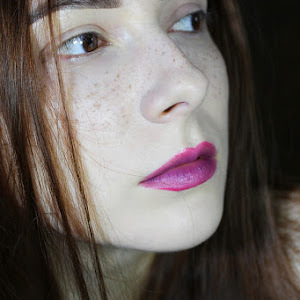 As I mentioned on my blog before, I have a very pale skin, which sometimes on a pictures looks grey, so I was very happy to try out Cocoa Brown Tan Mousse, especially after so many positive reviews I heard about this brand. Cocoa Brown 1 Hour Tan Mousse is universal self tan, which perfectly suits any skin type and shade. The color intensity depends on you, it varies between light and dark depending on how long you leave the tan on before showering. You can leave the mousse for 1 hour, to get light natural glow; 2 hours - for a medium caramel tan; 3 hours - for dark tan. If you want to get even more intense results, check out 1 Hour Tan Mousse Dark, it is new product by Cocoa Brown which was developed for ladies who love a really intense tan. I wanted to have a natural - looking tan, so after all the preparations, I leaved mousse for about 1 hour and a half. To tell the truth, I was a bit scared that my skin will turn orange, or the applicator mitt will leave terrible strokes on my skin. But the application was easy and smooth, and after I rinsed my skin, it looked fresh and lightly sun - kissed. Another thing I appreciate very much in every cosmetics is a scent. Cocoa Brown Tan Mousse has a very nice, light scent, it doesn't have any chemical or vinegar fragrances like other self tan products. It was a very pleasant discovery :) Your tan will last about a week, or longer - it depends how will you care about it. Overall, I`m very pleased with the look of my skin now. Unfortunately, my camera can`t show the real shade of my skin before and after I used Cocoa Brown, in real life it looks even better and more natural. I absolutely recommend for all the girls, who love self tanning - bronzed glowing skin, without fake orange undertones is the result you will receive, thanks to Cocoa Brown!